It’s hard to believe but I just took my daughter to High School Orientation. Time really does fly by because I feel like I was just taking her to preschool. 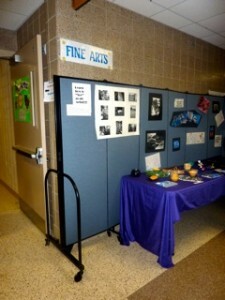 As we walked into South Elgin High School one of the first things we saw was a Screenflex Room Divider displaying all the information for the Fine Arts Department. I talked to a woman in the fine arts department because my daughter will be very interested in taking classes in that area. She loves to draw and be creative. 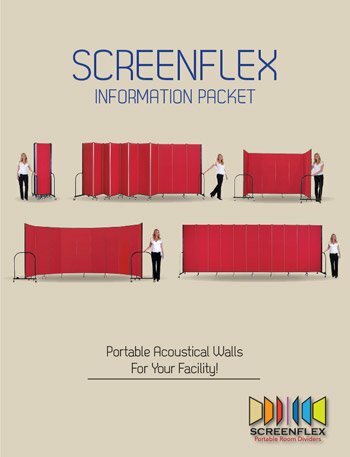 Then I asked her about the Screenflex Room Dividers and she said they are amazing. She rolled them out a couple of hours ago and stapled the information for the orientation to the panels. 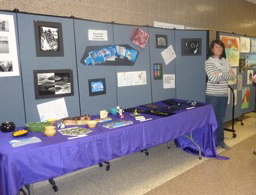 Then she displayed all sorts of artwork from the students all over the room dividers. She commented that they are easy to move around, very stable, and can display tons and tons of important information. She also said they are used all throughout the school for many purposes. 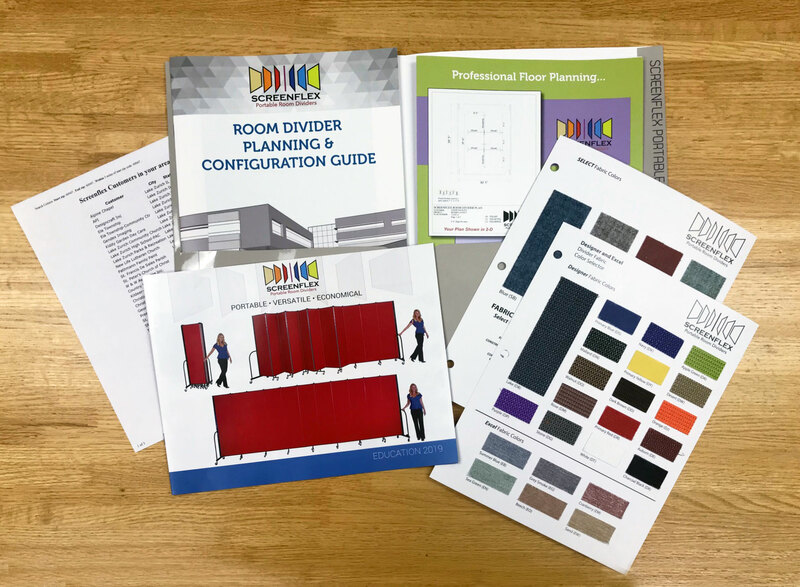 One day to display information and another day to divide a classroom in half. 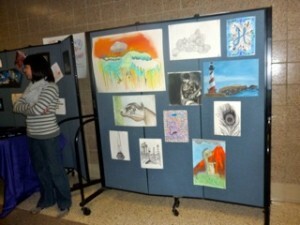 The high school students artwork is easily stapled on the Screenflex Portable Partition. Within a couple of minutes, any type of information can be displayed on the divider. Then the information can be taken off just as easily and the partitions can be closed up and rolled away for the next use.